An exceptional program (Level I and Level II) including the basics ballet, modern, tap and jazz, as well as classes in anatomy, prevention of injury, pre-school movement, and much more developed, by teachers with experience in both the professional and the academic areas is the key to a well rounded and competitive studio. A teacher training program that will give you a foundation is very valuable but, when this education comes from people that have years of professional experience in their fields and are backed by a major University it gives the training program more credibility. When information is put together in a sequential manner it is easier to retain the information. This is one of the important reasons to participate in a teacher-training program. You should receive manuals and video information for your library. This assists you with studying and provides a resource to revisit the information that you have learned. What you gain by attending a quality workshop is greatly enhanced, if you have a foundational education that you can always compare to the new information you are receiving in a workshop. Making the workshop much more valuable to you. 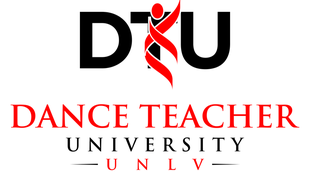 Dance Teacher University runs concurrent to the Dance Teacher Web LIVE Conference & Expo. 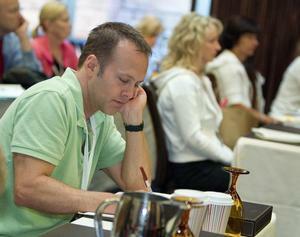 DTU participants have full access to all afternoon Conference classes, special events and hospitality. Dolly Kelepecz will be teaching Ballet. Her method of teaching ballet will use a new untraditional, cutting edge approach. It combines strict, traditional ballet steps with the ideology of Pilates, which focuses on mind/body connection, adding elements of Gyrotonics, Body Code and many other different types of useful alternative movement techniques to help youth become accomplished at the art of ballet. The Jazz syllabus by Steve Sirico contains isolation work, body conditioning, as well as stretching and strengthening exercises. Center floor work includes progressions for across the floor and center combinations that will serve as building blocks for more advanced levels. Teaching technique tips for this level 1 and 2 syllabus will be given. The syllabus is up to date, safe and has a proven track record of over 25 years. The Lyrical Jazz syllabus devised by Angela D’Valda Sirico helps students to gain strength and fluidity while making an excellent bridge from Classical technique to Jazz. It includes warm up material suitable for the level and expertise of the student, floor exercises to promote strength in all areas of the body and standing exercises with an accent on port de bras, rotations and balance. A vocabulary of steps for each level will be given and ideas on how to link steps together for across the floor and center combinations for level 1 and 2 students. A practical series of warm up, standing, and traveling excersices based on the principals of the classic modern dance techniques. In-depth study of the principals and technique of Erick Hawkins to increase range of motion, core strength, endurance, agility, coordination, rhythm and the awareness of the body in space. In the second year additional emphasis will be placed on understanding historical trends of modern dance as well as study of unconventional transferring of weight across the body via various rolling and hinging techniques. Early Childhood Creative Ballet syllabus, developed by Simone DePaolo, is a whimsical storytelling style for introducing ballet to young dancers, 3-4 years old. It begins with exercises on the floor and standing that prepare the young dancers for movement while also teaching them some basic ballet terminology. Various props and visualizations are used to guide the dancers to move in a group, and individually while gaining musicality and rhythm. Next, with the help of storytelling young dancers are guided to develop imagery by incorporating steps and props to the variety of storylines and music. This syllabus encourages young dancers to grow in their love and knowledge of ballet while not stunting their creativity. Early Childhood Jazz movement syllabus, developed by Simone DePaolo. This course focuses on basic and initial jazz movement for young dancers. It begins with centre isolation warm-ups, cardio, muscle relaxation, and balance exercises to help the dancer gain awareness of their own bodies. The class continues with some lateral moves for coordination and spacial awareness, followed by floor stretches to aid in flexibility and strength. Terminology will be used throughout the curriculum combined with movements to create various across the floor and center combinations. Class offers a brief background of the audibility of pedestrian movement and how it progresses to tap dance. Tap basics are broken down; accompanying terminologies are explained. Tap basics are grouped into viable combinations, creating musical phrases and complementary visuals. Basics progress to intermediate and more advanced skills. Emphasis is placed on how to break down and teach all the appropriate skills using the most clear, concise and retainable methods. Time allowing, performance and presentational aspects will be addressed. Dance studio teachers are asked questions about pain and dysfunction of joints and muscles almost everyday. This Training is developed to answer with the most common questions and problems that occur in the dance classroom on a regular basis The Anatomy for Dance Teacher University will be specific to the kinesiology and injury prevention of Dance.